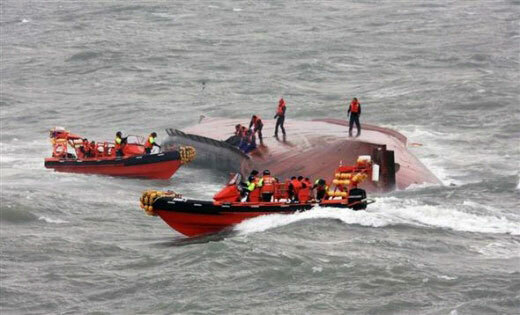 The 495 grt ferry Hangro Ferry 2 sank near Manjae Island, South Korea. The vessel was in heavy seas when the cargo of vehicles broke free form the chains holding them secure. This resulted in the vessel listing and eventually capsizing. The master of the Hangro Ferry 2 contacted the Coast Guard for assistance. The Coast Guard was able to respond quickly and rescued all 15 crew and passengers. Reports state no injuries, but some passengers had mild cases of hypothermia.